Preheat oven to 400 degrees. Butter and flour muffin tin. Stir in wet ingredients. Do not over mix. Fold in pineapple jam and raspberries. 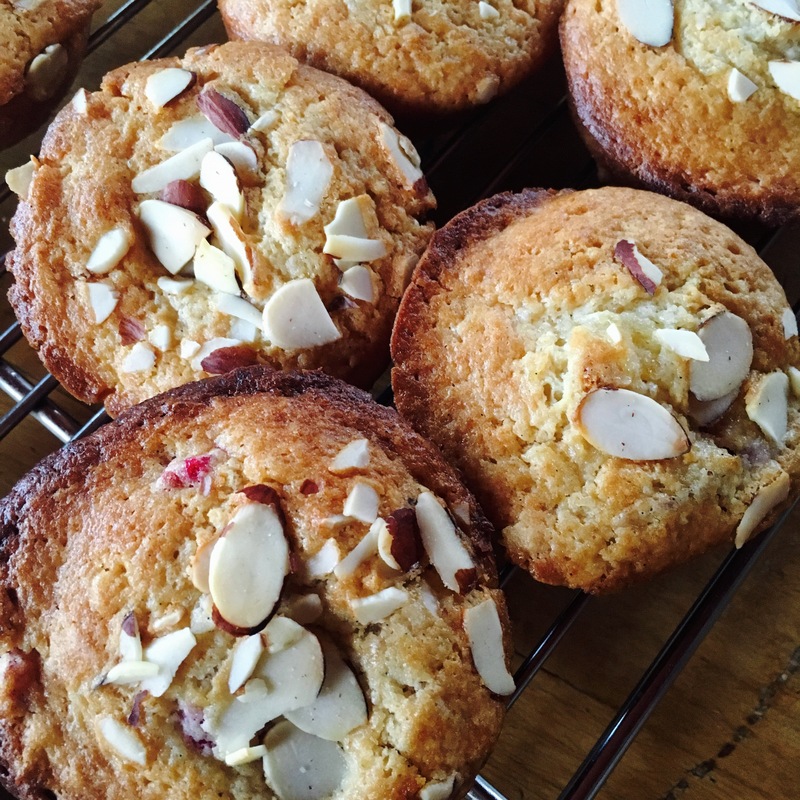 Scoop into muffin tin and top with sliced almonds. Bake for approx. 20-22 minutes until toothpick comes out clean. Cool muffins on rack outside of muffin tin so they don’t get soggy.